Delivery time: 25 days after received the 30% deposit or L/C opened. Payment terms: T/T,L/C at sight and Western Union(refers only to sample charge). 1. Can I visit factory? Can your factory arrange transportation for me? My dear, it is our pleasure to invite you to visit our factory. Our factory is based on Weifang City,Shandong province, We can arrange our driver to pick you up from your hotel when you arrived in Weifang City or Qingdao City. Our factory can laser print customer's logo on the product with the permission from customers. Customers need to provide us a logo usage authorization letter to allow us to print customer's logo on the products. 3. Does your factory have the design and development capabilities, we need the customized products? 4. Is your factory able to design our own package and help us in market planning? We willing to help our customers to design their package box with their own logo. We have a design team and a marketing plan design Team to service our customers for this. 5. Can your factory produce the low-lead faucet? 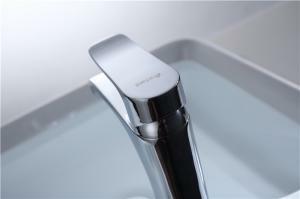 We also can produce the low-lead faucet according to your requirement of lead content. 6. What is the standard production time for each order? We can finish order 5-15days it depends on your quantity. Founded in 2003, Weifang Baile Sanitary Ware Co., Ltd. is a research-oriented private enterprise specializing in the manufacture of plumbing valves, mechanical processing, plastic products, constant temperature sanitary ware, etc., integrating R&D, production, sales and service. In August 2013, the foundation of the new green plant was laid. Now it has a modern factory building of 11958.6 square meters and a militarized management concept. In 2014, it established the “Kingsitupu Sanitary Ware Co., Ltd.” in the bathroom production base in Kaiping City, Guangdong Province. Specializing in the production of intelligent thermostats and high-end bathroom products. The company's strong technical force, a number of product invention patents, sophisticated processing equipment and high-precision testing methods, specializing in the production and sales of a variety of high-end thermostatic faucet products, the company has TEMPERATURE "Constop", "Xingzhu" high-end thermostat products Brand, annual production and sales capacity ranks among the best in the industry. Constant has 20 senior management personnel, 95 workshop employees, 15 technical personnel, 10 marketing personnel, and more than 60% of the total number of employees with college education or above. The company has consistently adhered to the principle of "providing high-quality products and high-quality services for the society" and pursues the enterprise spirit of "pioneering and enterprising, honesty and responsibility", and adheres to the principle of "professional service, customer first, reputation first". In the past few years, through the careful construction of the culture of integrity, the company has enhanced the market competitiveness of the company and consolidated the main position of the market. The company's strong technical strength and strong production capacity complement each other, using integrated intelligent detection equipment, including intelligent thermostatic valve faucet. The average daily output is more than 3,000 sets, and the average daily output of single-handle mixing valve series products has reached more than 4,000 sets. The company's business has been extended to all provinces in the country, and its stable quality has been well received by the community, and has been rated as an excellent supplier by many users.